Today on the Paper Issues blog we have the spotlight on the Simple Stories - I Am Collection. This is such a beautiful collection. I love the pops of black with all the pretty colors. This is has to be one of my all time favorites. For my card and gift box, I used files from the SVG Cuts - High Skies SVG Kit (affiliate link). 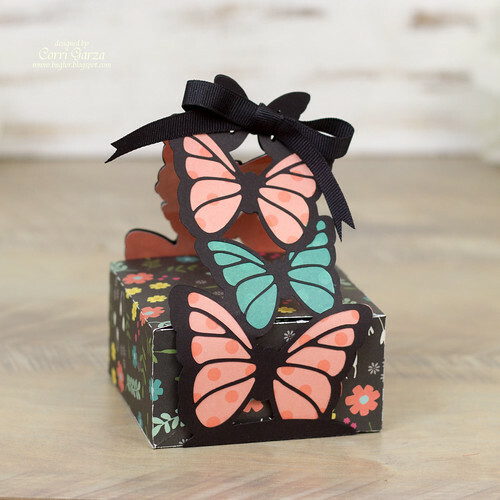 The box with the butterfly wrap handle is included in the kit. To create the card, I welded the butterflies to a rectangle in Silhouette Studio to create my card. base. 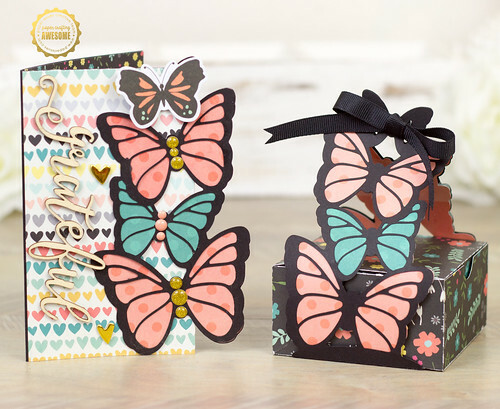 I added a butterfly from the ephemera pack and enamel dots to the centers of the butterflies. You can find the complete I Am Collection in Paper Issues shop. 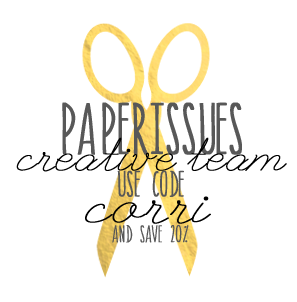 Use the code CORRI to save 20% off your order. Wowww, so pretty, Corri! Love them both! 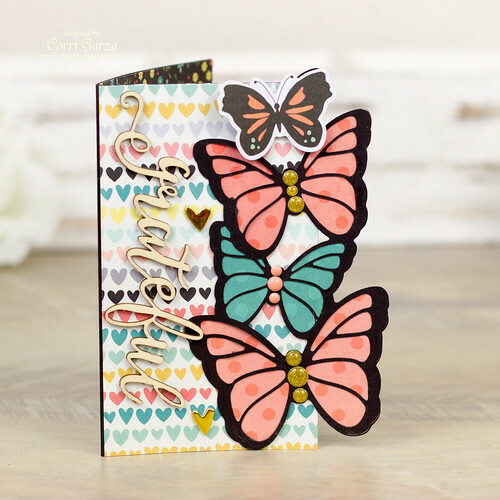 Love how you adapted the butterfly design into the card! And the embellishments and colors/papers are really pretty!